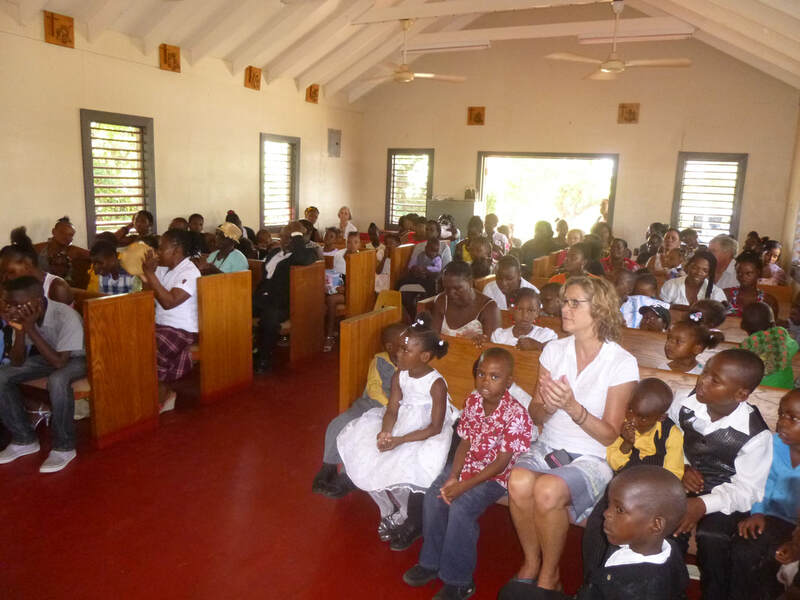 In 2007, St. John the Evangelist Catholic Church in Severna Park, MD adopted two sister parishes in the Diocese of Mandeville, Jamaica - St. Philomena and St. Margaret Mary. In addition to sending resources, we are committed to praying for these parishes. 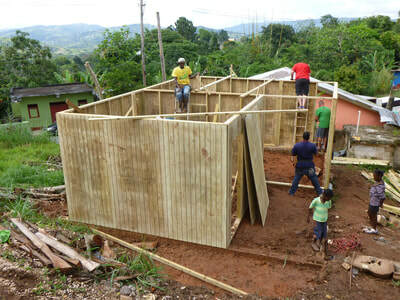 In the Fall, we send a group of parishioners to Jamaica to build a home for a needy family and to support and assist our sister parishes with their current needs. Please join us in prayer and extend your support for our efforts to help our sister parishes. We are dedicated to advance the educational system, foster a dignified self-dependence and cultivate the growth of the Catholic Faith in Jamaica. To aid and support the needs of the parishes through education and training of the local residents. To build a direct relationship with the Diocese of Mandeville to help fund projects and support their goals for our sister parishes. The mission team performed maintenance on St. Philomena Basic school and added to the school’s collection of books. 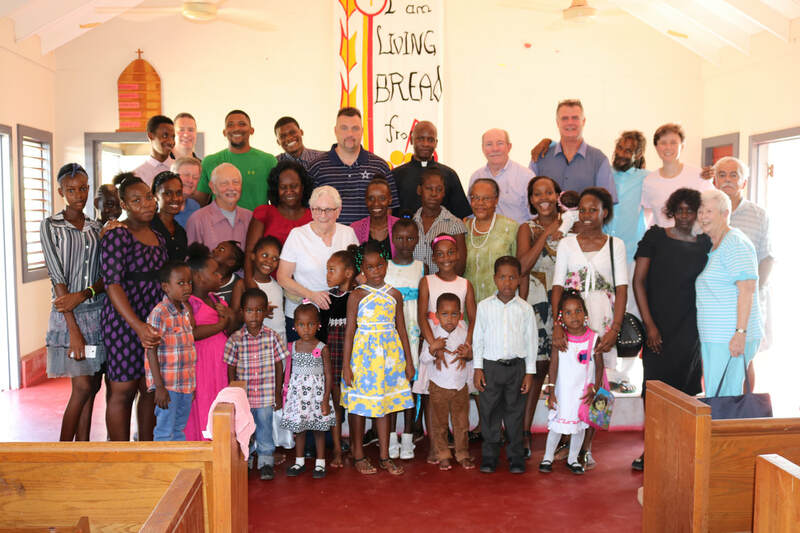 Using funds raised within our parish, the team built a family home and painted St. Philomena Church. The team visited the Gift of Hope-Mustard Seed, a care community for disabled children within the village of Manchester. They also visited St. John Bosco’s Career Advancement Institute, a Catholic-run institution for neglected, abused and abandoned boys. The mission team delivered twenty bags of donated school supplies, sports equipment, clothing and shoes. 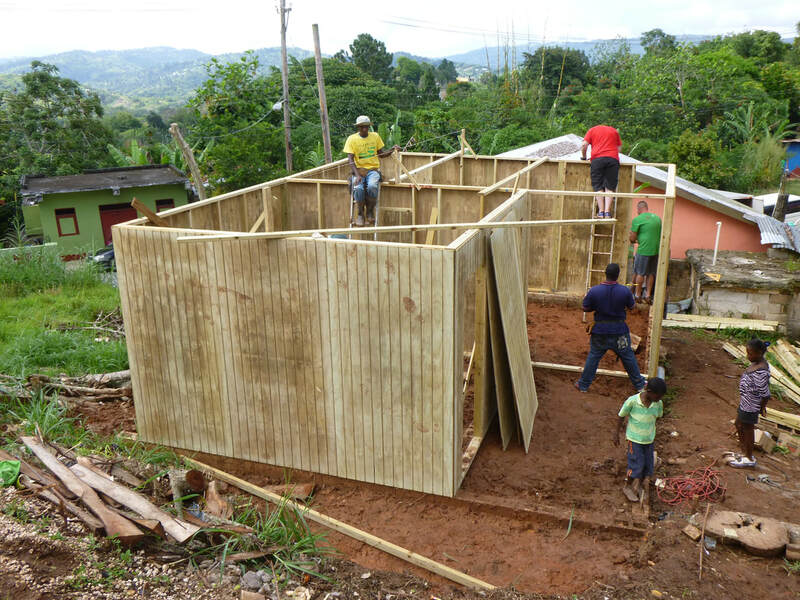 At St. Philomena Basic School, the team back filled the foundations for both the classroom extension and the boys' bathroom which are part of our larger funded project - the certification of the school. They also built a home for a mother and her children in Lionel Town. 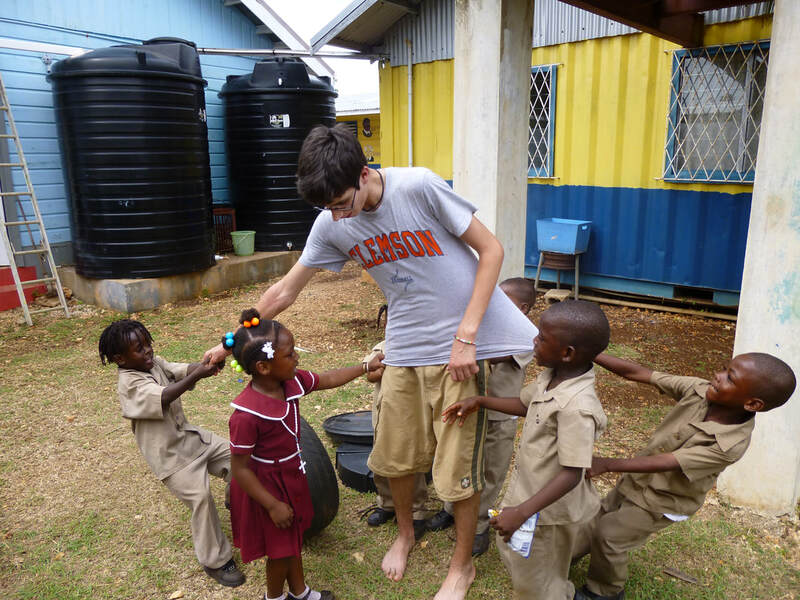 ​Mark your calendars for our next mission trip on October 17-23, 2019. Approximate cost for room, board, flight, and incidentals is $1000. 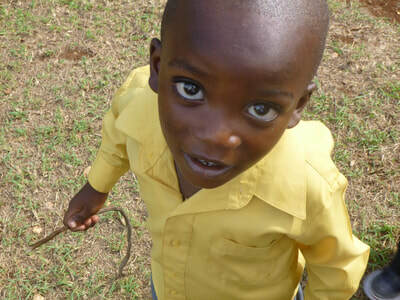 We will build a home for a needy family and visit our sister parishes as well as the children we support. For more information about joining our next trip, see FAQs below, come to one of our monthly meetings or contact us here.